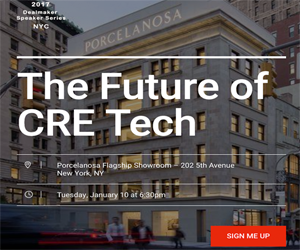 Venture capitalists continue recognizing the capital potential in real estate tech startups as proven by the $1.7 billion in investments over the last year. These startups are revolutionizing how brokers, agents, lenders, and more field professionals manage their businesses. The following VCs have led the way in investment capital for RE tech development over the last twelve months. 500 Startups has funded startups from around the world. Of course its fingers are spread wide across the real estate industry, with stakes in mortgage platform Lenda and analytics companies like Compstak. Their past investments include, but are not limited to, Hubba, Storefront, ZipMatch, 42floors, and HomeLight. Josh Kushner, founder of Thrive Capital, has serious interest in the real estate tech industry. He's the co-founder of real estate investment platform Cadre. Thrive’s capital investments include Hightower, which recently merged with VTS, start up Open Door labs, tech-based brokerages like Compass, and project management platform provider Honest Buildings. San Francisco Bay-based seed investor SV Angel prefers to financially back a variety of companies. Past partner investments include Facebook, Google, Airbnb,and PayPal. Recent real estate tech investments include Roofstock with $7 million in Series A and $20 million in Series B. Finance tech lender LendUp received $50M in Series B at the start of 2016 and recently another $47.5 million in Series C. Other capital contributions include Storefront, Open Door Labs, myVR. Technology-focused early stage boutique investor BoxGroup continues to see the value in real estate tech. In the past, BoxGroup provided funds to Matterport, 42floors, and Storefront. This year it led venture funding with $3.5 million to Arcadia Power, a firm specializing in sourcing renewable energy for buildings. Since its inception DCM Ventures has invested in over 200 technology companies in the U.S. and Asia. This year the VC firm led seed funding for Roomi, a marketplace for shared housing, and led Series B funding for Kespry Inc, an automated commercial drone system. Past investments include VR leader Matterport and RealScout. Investments from VCs are critical to disrupting the real estate tech industry. That’s why we recognize top VCs and angel investors in the Real Estate Tech Awards (RETAS). Vote for an influential investor on the 3rd Annual RETAS submissions page.